Respectfully I wish to state that I am a student of (Class/grade no.). I on behalf of almost most of the students request you to open a canteen at the school compound. Many students feel the need for canteen in school. (Describe in your own words). Our school situated in a commercial area, so most the students can’t bring tiffin to school; besides, in summer and winter, students also feel the need to refresh themselves with a cold or hot drink. (Explain the actual cause and situation). Besides, the stationery articles kept at the canteen prove really helpful to students. 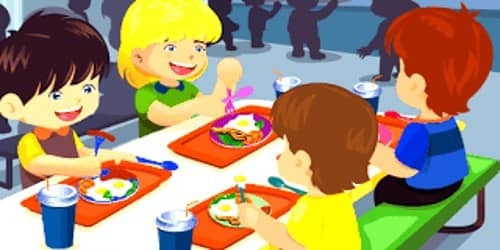 Most of the schools allow canteens in their premises. (Cordially describe your requirements). I am attaching the petition for your perusal I hope you will give serious thought to our request. We the students of your school like to draw your kind attention that we have to attend school at (Time, e.g., morning) and have to stay up to (Time, e.g., afternoon). (Describe in your own words). At noon we become very tired and hungry. We need refreshments at noon. But it is a matter of great regret that there is no canteen in our school campus. (Explain the actual cause and situation). It is very difficult for us to go out for taking lunch. Moreover, the food supplied by roadside restaurants is very often dirty and unhygienic. So we badly feel in need of a canteen in the school campus. (Cordially describe your requirements). We, therefore, pray and hope that you would be kind enough to open a canteen in the school campus as soon as possible. The students at your school.